1. Cover the entire paint can with the gesso. I find it easiest to apply it with a foam brush. 2. Once the gesso has dried, paint the can with whatever color of acrylic paint you’d like. 3. Once your paint has dried, the fun part begins! 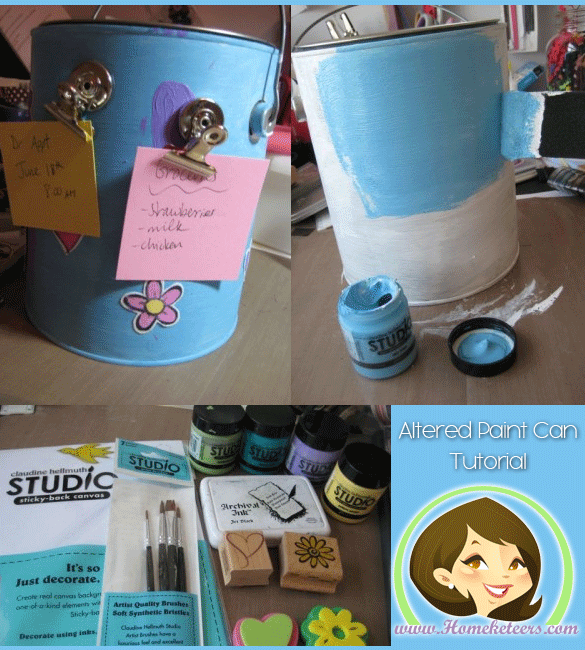 Decorating your paint can! 4. 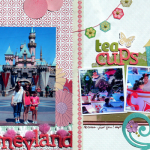 On your sheet of stick back canvas, stamp some stamps onto it with black archival ink. 5. put a tiny dab of paint onto your craft sheet and spray with water. Mix it up so its a very watery paint. 6. Using a fine tipped paint brush, “paint” your stamped images on the sticky back canvas. 8. Peel the backing off the canvas and stick them right onto your paint can.